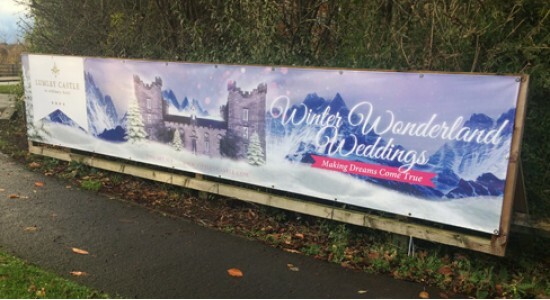 Perfect for outdoor events or advertising, an eye catching banner can complement any promotion, event or business. Our banners are printed on high quality 440gsm PVC material, hemmed and eyeletted so they are easy to attach to any surface. Produced on a roll of maximum 1.55m and can be any length you want! Note: If your banner is intended to be placed in an area exposed to high winds, consider our Mesh banners - designed for such applications.